Tanks have a variety of uses in industrial businesses, and the cleaning and maintaining of these tanks is very important. In doing so, it is essential to use up-to-date methods and equipment, to maximise the efficiency and safety of the cleaning process. Due to the daunting prospect of cleaning such large and hazardous tanks, some businesses choose to avoid cleaning their tanks. However, it is imperative to conduct regular tank cleaning in order to prevent the build-up of harmful substances that may damage the tank and reduce its productivity. Among the benefits of tank cleaning, is the opportunity to find out if there are any repairs that need doing to the tank, that may otherwise go unseen and develop further. Furthermore, it also helps to maintain high standards of quality and efficiency through cleanliness, thus avoiding the build-up of substances that may give off toxic fumes or that may reduce the efficiency of a tank, and eventually stop the tank from working completely. Tank cleaning therefore reduces costs to a company through reducing the chances of having to replace a costly tank, whilst also increasing the safety of the tanks. 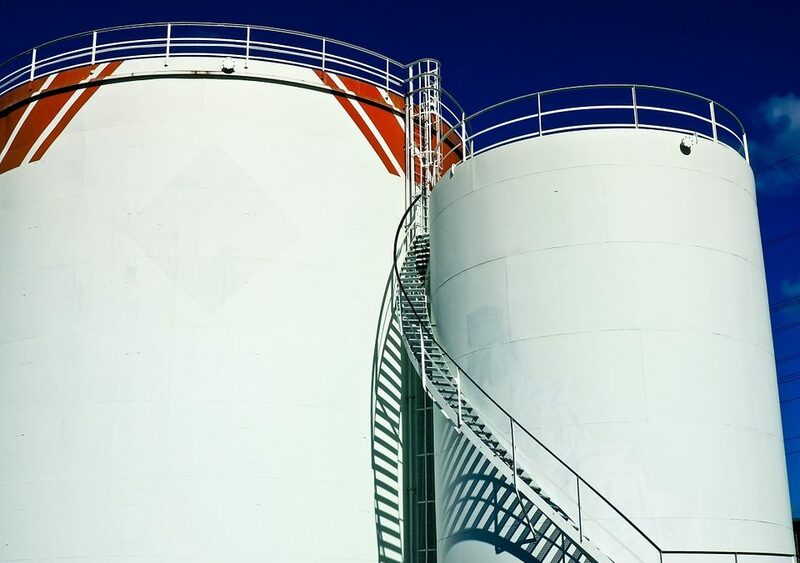 For many reasons, safety is a fundamental matter in tank cleaning. The risk of slipping, falling, and being exposed to hazardous substances is often a valid concern. Because of this, Hydroblast utilises ultra-high pressure water jets, which prevent these potential accidents from happening and do not require people to physically enter into the tank in the majority of cases. No man entry tank cleaning is preferred by most companies, due to the elimination of safety risks that are posed when humans have to enter the tank. The main aim with tank cleaning is to do it in the least costly way, whilst doing it efficiently. Some methods of tank cleaning involve scaffolding, which is invasive, time-consuming, and costly. However, specialist water jetting equipment is designed to produce minimal vibrations, and therefore eliminates the need for scaffolding. This reduces the down-time of a tank, whilst also reducing costs. A lot of tanks are designed in such a way that it is intended to keep contents inside of the tank, making it hard to clean. However, innovative water jetting equipment cleans tanks to the highest standard without being labour-intensive. This method is also environmentally friendly through the use of a clean and natural resource. This eradicates the use of solvents and the release of toxic fumes, that are often involved in other methods of tank cleaning. In the minority of cases where a no man entry tank cleaning method cannot be used and human intervention is, all Hydroblast employees are equipped with the experience and training needed. Depending on the use of the tank, this can sometimes be necessary when deposits in the tank require removal using hand equipment. In these cases, staff are able to carry out the cleaning safely, quickly, and reliably. Water jetting is one of the most cost-effective and efficient methods of tank cleaning that is available. If you require a tank cleaning service or want to find out more about the water jetting service that we offer, do not hesitate to contact us.